Common Areas Take Un-Common Teamwork! 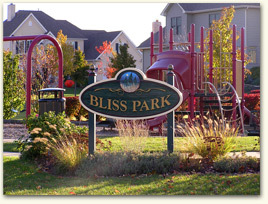 We started Neighborhood Bliss in an attempt to compliment our great homeowners association by having the Lakes of Bliss Woods residents take some ownership in the common areas. We survey plants that need replacement after the winter, clean up the ponds, and re-plant in various common areas. We have also organized the September Picnic and Christmas Luminaries. We have a die-hard team that is always supportive, but we would love more participation this year. Any suggestions are welcome… that is if you’re willing to pitch in! 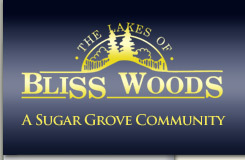 Not everyone can attend our group activities, but Neighborhood Bliss is more about a frame of mind than anything. So here are some simple suggestions to start sharing the responsibility for the neighborhood. Pick up garbage in common areas or parkways as you take a walk. Clean up after your dog when walking in the neighborhood. Clean up or water common area plants that seem to need some help. Speak up when you see someone doing something that damages common area property. Let the board know about something that needs attention that you cannot simply take care of. Slow down when driving in the Neighborhood and pass the word around to tell family and friends that we want to keep our neighborhood a safe place for all to enjoy!